On the 7th of March all the 4th grade students took the bus. We learned many interesting and important things. Our guide was very good. She told us how to take the bus and explained why it’s better to use it. Before we got on the bus, our guide told us that there are two bus cards. One has got a photograph. This card is only for the person in the photograph. The other card hasn’t got a photograph. Everybody can use this card. It’s cheaper to use the bus if you use a bus card. Our guide let us use one to get on the bus. Our bus was a special environmentally-friendly bus. This bus runs on electricity. 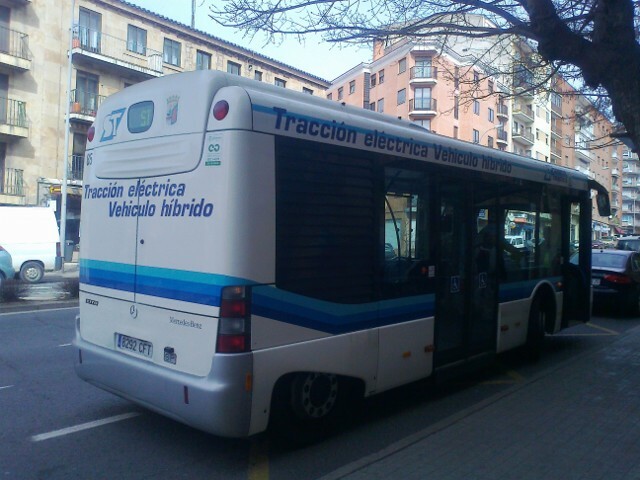 It’s the only electrical bus in Salamanca. You can’t use mobile phones on it. The other buses in Salamanca have got humps. This means that they run on natural gas. Natural gas doesn’t pollute as much as petrol. When we use the bus, there is less traffic on the road. This is good for the environment. Buses also have ramps. These ramps help disabled people in wheelchairs get on the bus. The bus driver stopped at a bus stop and showed us how the ramp works. At this bus stop there was a big map. Our guide explained that the map has all the bus stops in the city. We also learned about the rules of the bus. For example, we mustn’t play loud music or eat on the bus and when an elderly person or a pregnant woman gets on the bus, you should give them your seat. Before we went back to school, the guide gave us a quiz to see if we remembered everything. Then she gave us pens. 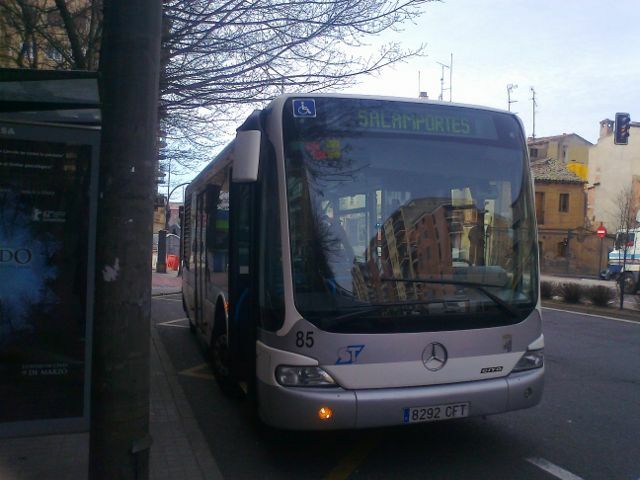 This was an interesting excursion because we learned why it’s better to use the bus and we went to different parts of Salamanca.